research, development and automation solutions for many years. However, there is more beyond ImageIR®: Due to the combination of the high-end infrared camera with a premium 30× zoom lens complex observation and investigation are possible, such as border control, vehicle observation and monitoring of the environment or animals. The detection range is outstanding: vehicles can be detected up to 18 km and persons up to 15 km. 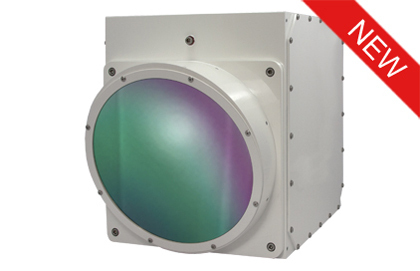 The rugged and exact power zoom together with the high-performance 30× zoom lens achieves a continuously adjus- table field of view from (39.8 × 32.3)° down to (1.3 × 1.0)° with a detector format of (1,280 × 1,024) IR pixels. 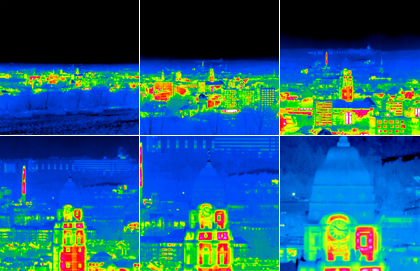 Therefore, also objects being far away can be displayed with a high-resolution infrared image. The camera versions ImageIR® 8300 Z and ImageIR® 9300 Z with detector formats of (640 × 512) and (1,280 × 1,024) IR pixels are available. The customisable software interface offers time coded real-time playback. See downloadable PDF "Last ned PDF"